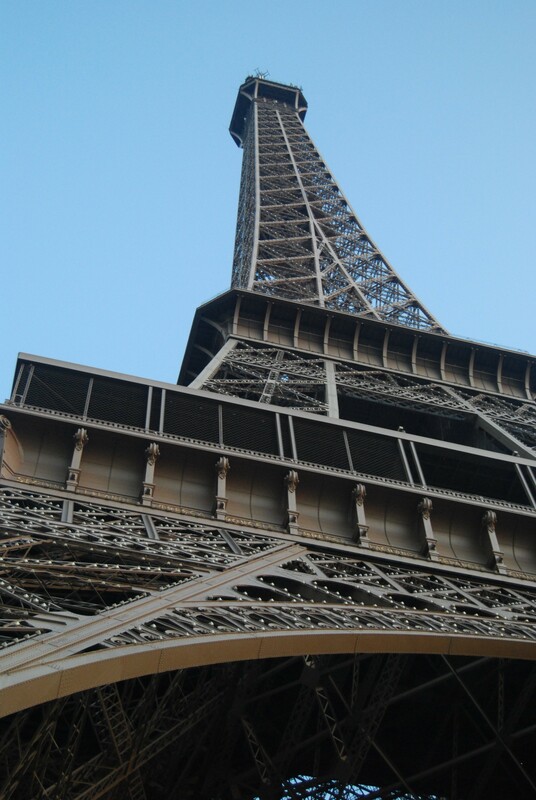 The Paris experience was not quite what we had hoped because of Diane’s lack of mobility, but what we did get to see and do we thoroughly enjoyed. First order of the day was a blood test, then we headed off to the Cafe de Industrie for lunch. Lunch was awesome, thanks Shawn a for recommending it. After lunch we went to the Lourve, got to skip to the front of the line because of the crutches, then exchanged the crutches for a wheelchair. What a huge place, we got lost several times, and ended having Diane hop up or down stairs many times as it is really not accessible. We did get to see Mona and Venus amongst many other great works of art. After the Lourve we headed to the Eiffel tower. Once again we got to skip most of the line which was great because it was really long. We only went to the second level, which was more than high enough for Linda. It was quite crowed so we weren’t able to get the boobie shot in. The East elevator broke just as we were going down, they suggested people take stairs, but that was definitely not an option for us. They did get us to the front of the line for the other elevator though. By the time we got down Diane was pretty much done so we headed back to the hotel, had supper at a nearby restaurant (La Belle Angela) which was awesome, then called it a night. They are not as generous with painkillers in France as they are in Canada so added a Tylenol Body Pain to get to sleep.